REVIEW SANTA FE, the 11th annual juried Portfolio Review produced by CENTER, concluded last month. The 100 Photographers, who were chosen to participate because they had created a significant project or series, met with curators, editors, publishers, and gallerists. 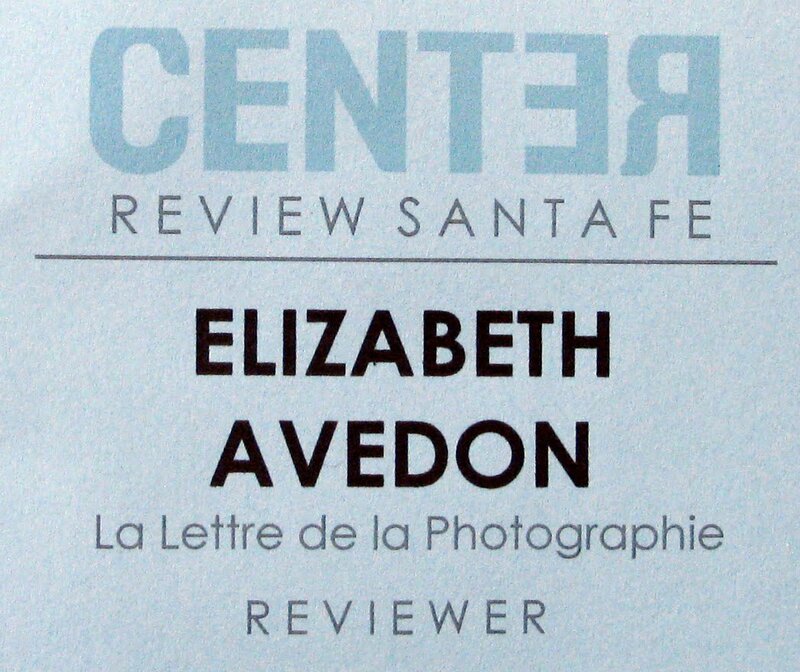 Elizabeth Avedon: Tell me about your selection process for Review Santa Fe. Laura Pressley: This year’s 2011 Review Santa Fe Selection Committee included Karen Irvine, Curator and Manager of Publications, Museum of Contemporary Photography, Chicago; Alan Rapp, Alan Rapp Studio, and formerly Senior Editor at Chronicle Books; and Whitney Johnson, Director of Photography at The New Yorker Magazine. The reason I chose these three for the Selection Committee is that they have all participated in Review Santa Fe previously and they have different perspectives from within the photographic and art Industry. With Alan Rapp, we have a perspective from the realm of Publishing; with Karen Irvine we have the Curator's perspective, Whitney Johnson provides the Editorial perspective. Photographers submitted an Artist Statement, Résumé and 20 Images. Everyone says this but its true in that the quality of work every year gets better and better. This year there were approximately 500 entries, with an increase in International submissions. Photographers from 23 U.S. states and 13 countries, including Austria, Egypt, Hungary, Japan, Mexico and Scotland, were chosen to come to New Mexico to attend Review Santa Fe. Review Santa Fe judging process is via a numeric system, so each juror picks their top 60 or so and each photographer then has a number in a ranking. Additionally, there is a high attrition rate at these types of events so in addition to the 100 slots there is also a Wait List. About 25% of the accepted photographers cancel due to personal reasons. So the Wait Listed photographers who are asked to attend are asked in order of their rankings. In addition to the people who are ranked highly, we have about 17 Project Award Winners who are also here. So not only are there photographers accepted into Review Santa Fe, but there's also a high quality of work because of the Project Competition Winners, and the Project Launch Winners, as well as some of the Choice Award Winners are in attendance. So there are many photographers recognized through our other programming who have the opportunity to attend Review Santa Fe free of charge. I feel that a major component of the awards and what they offer is the exposure and the opportunity of attending Review Santa Fe. That’s the key to building personal relationships and potential for career advancement. We also have about 15 attendees who receive partial or full scholarships. They participate for a discounted tuition or free of charge. We have the Scholarship Fund raffle this year, with all the proceeds, every dollar, benefiting the Photographer Scholarship Fund for next year. Elizabeth Avedon: How do you Curate the Reviewer list? Laura Pressley: One basic, simply stated guideline is that we invite a lot of curators and publishers. Why? The CENTER mission is to serve gifted and committed photographers and a lot of the participants would prefer to meet with curators and publishers. I can easily assess that in the reviewer rankings in the online lottery scheduling system. The other genres of industry professionals I invite are high-profile editors of magazines like National Geographic, The New Yorker, and Time Magazine; people that use photography really well. In addition, reviewers who support the community by creating Photography Blogs or on-line Magazines like Fraction who can give photographers exposure. Providing exposure to people who can offer direct outcomes is an extremely valuable component to the whole weekend. In addition, we offer access to the people who are somewhat inaccessible, like the people from the Whitney and SFMoMA. Busy curators who don't typically have time to sit down with photographers and look at portfolios in their day-to-day work flow. Ultimately, we strive to create a platform for both sides of the table, Reviewers and Photographers, to be able to slow down for a weekend, be present, and focus on something we are all passionate about - Photography. EA: How long have you worked with CENTER? Laura Pressley: This is CENTER’s 16th year and my 10th year. After their first review event, the organization, then called the Santa Fe Center for Visual Arts, noticed how much synergy and forward momentum there was around the organization and they hired me to help them move continue and expand on that forward momentum. Prior to that, I was living in the San Francisco Bay area where I worked at the Richmond Arts Center with the after-school program for kids, and the Artist’s-In-Schools Program. There was such poverty there; I saw the great impact of these programs on this community. It was then I decided I had to work for an a mission based organization from that point on, lending my strengths to the impact that Art can have on our communities and our lives. EA: What is your background in Photography? Laura Pressley: I'm originally from the Chicago area. I was a Photography Major and graduated with honors from the College of Santa Fe now the Santa Fe University of Art and Design. 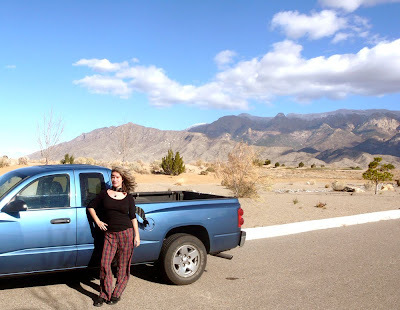 I moved to San Francisco for two and a half years after college and moved back to Santa Fe in 2001. I really missed this community and I missed the landscape and the light. I needed to come back to New Mexico, which happens to a lot of us here, we try to leave and we have to come back. 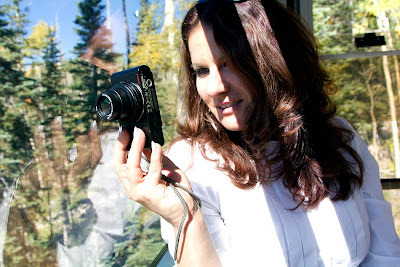 When I came back I got involved with a program called PhotoArts Santa Fe. At the time, I worked to get their inaugural festival off the ground by providing volunteer support and other administrative support. The Santa Fe Center for Visual Arts Executive Director and staff noticed me through PhotoArts and recruited me to come on board. I met with Reid Callanan, Founder of the organization, and Director of the Santa Fe Photographic Workshops and I was hired shortly thereafter. The organization has evolved through a few name incarnations. It was the Center for Photographic Projects, then Santa Fe Center for Visual Arts, then the Santa Fe Center for Photography. Finally, in 2006, because one of our board members had a relationship with a design firm called McKee Wallwork Cleveland, which was a national award winning agency that happens to be in Albuquerque we were gifted an identity package and campaign. That was an important milestone in our history and development. They asked a series of questions to determine our target audience. That was an important part of their process to create that identity package. In fact, they trademarked their process as it’s a unique and successful method of creating and crafting a brand. They helped us tremendously, not only to strengthen our brand, but to really own who we are in the photo industry. Before we changed our name, we were often confused with the Santa Fe Workshops. I would have to say, “We are not the Workshops, we are a separate non-profit organization." That is not a problem anymore as I feel our brand is really strong and it's thanks to their good work. Branding is so powerful. I think success goes hand-in-hand with creating a Personal Brand. You need to claim who you are. If you don't brand yourselves, someone else will. That holds true for organizations, businesses and photographers as well.